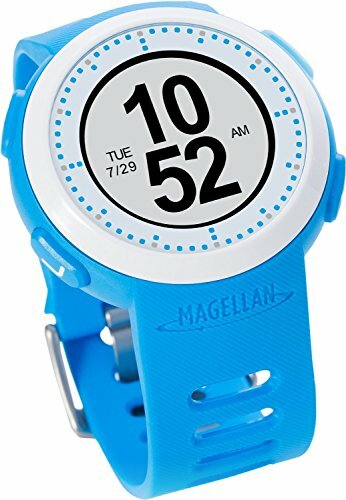 Magellan TW0201SGXNA Echo Fit Smart Sports Watch with Activity and Sleep Tracking (Blue) by Magellan at Kode Fu Guru. MPN: TW0201SGXNA. Hurry! Limited time offer. Offer valid only while supplies last. Echo Fit is the first sports watch to utilizes smartphone sports apps to their full potential wirelessly connecting them conveniently to your wrist. Echo Fit is the first sports watch to utilizes smartphone sports apps to their full potential wirelessly connecting them conveniently to your wrist. With real-time sports data streaming directly from your smartphone to the watch display and the ability to remotely control connected apps, Echo Fit keeps you informed and in control during any activity. Echo Fit is an extension of your smartphone, simultaneously displaying sports data, notifications and achievements that display on your smartphone. Using Bluetooth Smart to wirelessly connect with smartphones, Echo Fit shows elapsed time, distance and other metrics at a glance. Echo Fit gives you control over a variety of smartphone functions including start, stop or lap on your sports app, and next song, play and pause on your music stream or playlist. Echo Fit keeps you motivated throughout the day by tracking your steps, distance traveled and calories burned. When it's time to recover, Echo Fit tracks your sleep. It's the first smart watch created for sports with a ruggedized design and IPX-7 water-resistance to withstand adverse conditions. When you're not running, golfing, hiking or participating in a sport, Echo Fit is an everyday timepiece with customizable watch faces and stopwatch functions. A replaceable battery means there's no charging. Echo Fit is always tracking and ready to go.